Water temp today from Duck to Nags Head is around 50-52 degrees. Winds are South at 15 knots. High tide in Duck is at 1:42 pm today. The past couple days we have been catching lots of puffers and sea mullet with an occasional bluefish. Around Oregon Inlet to Hatteras there has been more bluefish, trout, and bigger red drum. 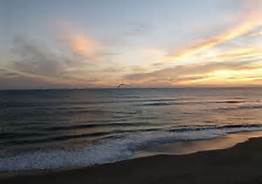 Posted in Fishing Report 2019, Uncategorized and tagged Nags Head fishing, OBX fishing report, Oregon Inlet.